Localization of MFG-E8 in the murine small intestine. 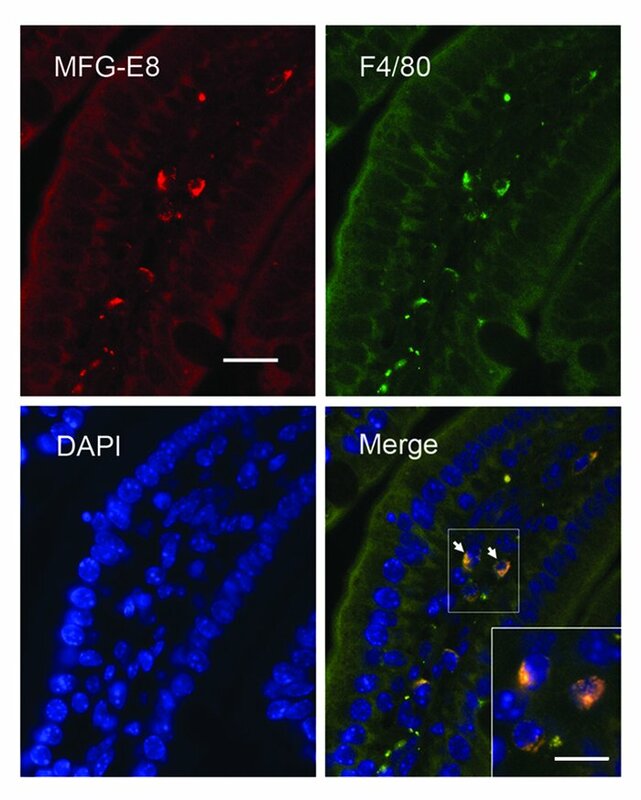 Double immuno­fluorescent staining of normal mouse small intestine using antibodies against MFG-E8 and F4/80. Arrows in the merge panel indicate mononuclear cells in the lamina propria that are positive for both MFG-E8 and F4/80 shown at higher magnification in the inset. Scale bar: 20 μm; 12 μm.